Twitter Bootstrap is a popular UI framework used on many websites. For new users, it may be a little intimidating to learn all of the different CSS styles and components that are available. 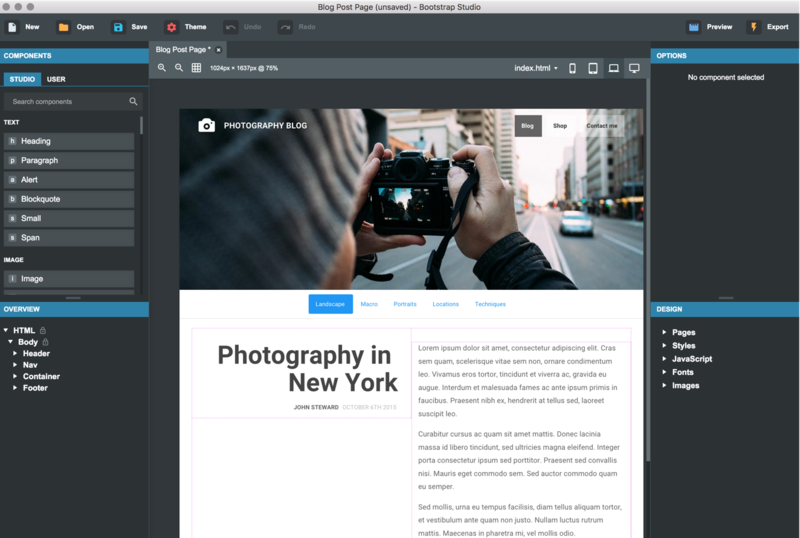 I came across a a GUI/WYSIWYG application for Linux/Mac/Windows to quickly create Bootstrap websites. The software is relatively new and their forum community is still gaining momentum, but for only $25 you don’t have much to lose. The guys behind Bootstrap Studio are constantly updating the software, which auto-updates by the way. Check out their free online demo!